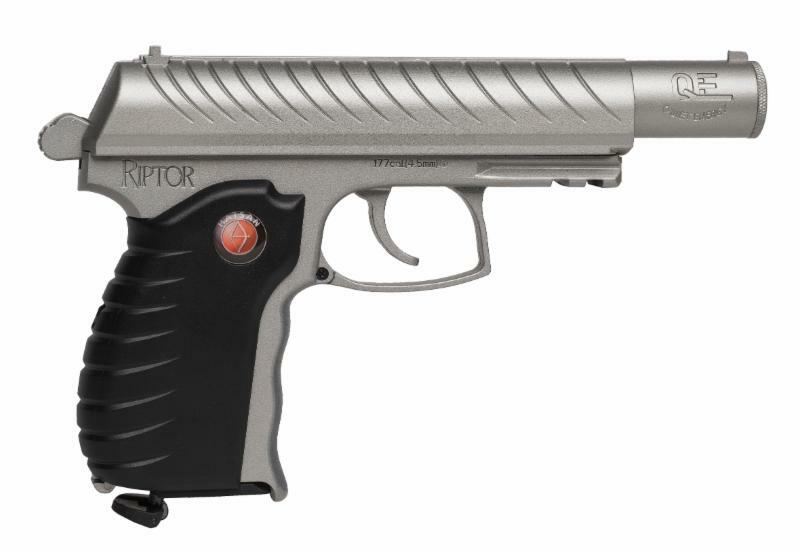 HatsanUSA has announced the Riptor – a new C02-powered, semi-automatic BB pistol. 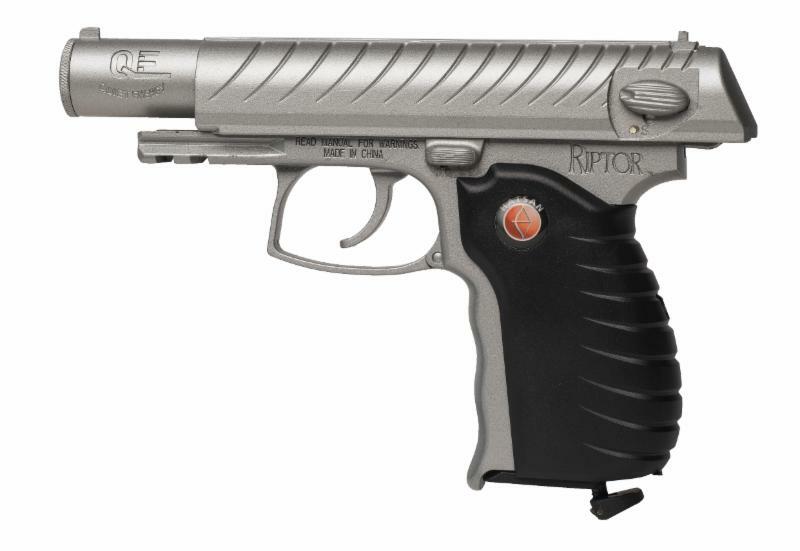 The Riptor is the ultimate fun-gun for shooting cans or targets in the backyard. With its realistic blowback action, this is one plinker that you’ll want to take with you wherever you go. It’s also a great option for teaching pistol fundamentals to first-time shooters. “Hatsan fans have been asking for us to bring a realistic blowback CO2 BB pistol to the US market and with the Riptor, we feel like we’ve answered the call with an inexpensive and fun-to-shoot BB pistol. The fact that it is also quite accurate and extremely quiet will add to the appeal,” said Blaine Manifold, President of HatsanUSA. The Riptor is powered by replaceable 12 gram CO2 air cylinders and fires .177 caliber BBs. Average velocities are 350 feet per second using steel BBs. The Riptor’s removable magazine holds 15 BBs, the CO2 cartridge and valve. The Riptor’s integral QuietEnergy sound suppression system reduces downrange noise, making it a perfect choice for backyard plinking. An all-metal construction ensures durability of the pistol and a built-in Weaver accessory rail make it possible to attach lights, lasers and other accessories. The grip is covered in textured polymer to ensure a comfortable grip for almost any hand size. The MSRP for the Riptor is $89.99. This entry was posted on Wednesday, September 20th, 2017 at 21:42	and is filed under Airgun, Press Release. You can follow any responses to this entry through the RSS 2.0 feed. Both comments and pings are currently closed.